Nobody really makes old fashioned haunted house films about ghosts anymore. It’s something of a lost art. We have our fair share of found footage movies and gore filled sequels, but the basic concept of a haunted house without some sort of gimmick is rarely visited. Axelle Carolyn’s Soulmate is unashamedly a low key ghost story, one filled with creepy moments and tension rather than jump-out shocks and blood. It feels like it could have been produced at anytime over the last fifty years and that’s what makes it work. This Gothic tale opens with Audrey (Anna Walton) arriving in a secluded cottage in the Welsh countryside. Audrey wants some solitude to recover from a failed suicide attempt brought on by the death of her husband in a road accident. She’s greeted by Theresa (Tanya Myers), an over familiar local with an odd idea of what constitutes a good welcome present. Audrey begins to go about her day-to-day business but at night she hears strange noises echoing through the quiet cottage. At first she believes that it might be an intruder, but then she assumes it must merely be side effects from her medication. Audrey seeks advice from Theresa’s husband, the local doctor (Nick Brimble), who puts her mind at rest that she’s not imagining the strange bumps in the night – and that’s when she meets Douglas (Tom Wisdom), the ghost of the cottage’s previous owner. The best ghost stories unravel slowly, teasing its audience as they are drawn into the world of the narrative and that’s what Soulmate does. It creates a world that feels real and that helps us believe that Audrey and Douglas really could interact. It’s tough to make that idea work, but Carolyn makes that central relationship feel real. It could have descended into a Randall and Hopkirk (Deceased) style comedy duo, but instead we get an interaction that plays like an authentic love story. 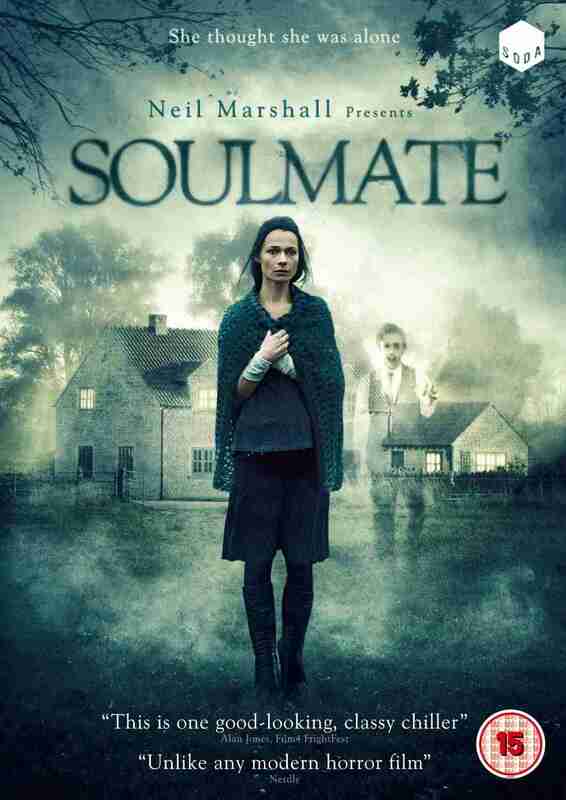 Soulmate’s bleak setting is perfectly realised by Carolyn and cinematographer Sara Deane, who shoot the Welsh countryside with a misty mysteriousness.The sloping hills and grey sky add a sombre tone to the film, creating the feeling of an ageing photograph or a half forgotten memory. Meanwhile, Christian Henson’s music adds an aching melancholy to the visuals, which helps a subtle chill seep into this winter tale. Carolyn’s film originally opened with Audrey’s failed suicide attempt, and while that scene added context to our lead character’s state of mind, it could be argued that the slow unveiling of her fragile disposition adds an extra layer to the film’s mystery. The film wouldn’t have been radically different, but the shocking scene may have detracted from its timeless quality. A Gothic ghost story more than a horror, Soulmate is a brave and assured piece of filmmaking from a director making her feature length debut. It’s an old-fashioned piece of filmmaking, with a well constructed narrative filled with wonderful visuals and an emotional performance from Anna Walton. The DVD of Soulmate comes with an exceptional set of extra features. The film has a detailed and well paced commentary from writer/director Axelle Carolyn and her editor (and husband) Neil Marshall. The disc included interviews with Carolyn, Marshall and star Anna Walton as well as Halloween Kid and The Last Post, two short films which were also written and directed by Carolyn.